If you’ve read any of my other blog posts that involve strawberries you know how much we love them. To my dismay, strawberry season has come to an end for this year. 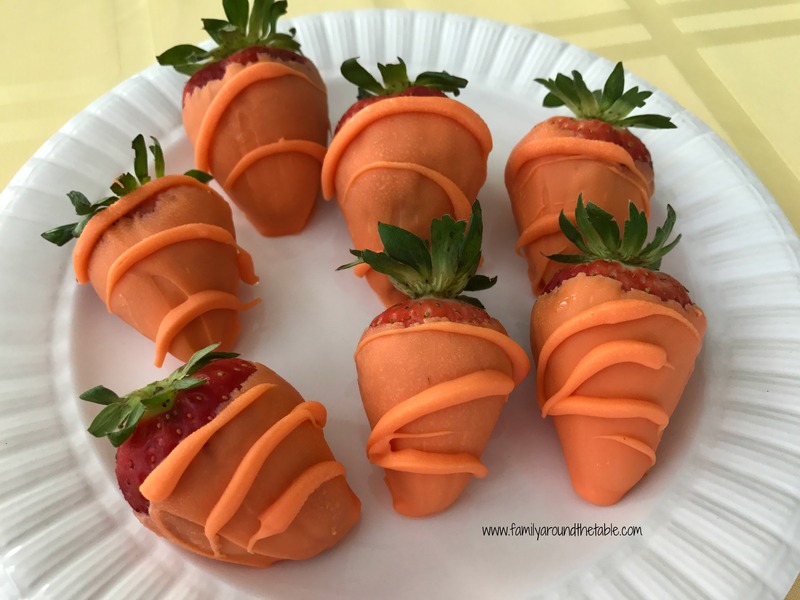 The last batch I bought was to make these fun carrots for Easter. These are so easy and you only need two ingredients….